To view some of the best available YouTube blackjack related videos click on the Video link in the left menu. Also, blackjack related videos can be found embedded throughout this book.1)All embedded videos on this site are copyright © of the original owner. Please visit the original site of the video for more information. If you are the owner of a video that appears on this site and you “do not” want us to us it, contact us and we will remove it. With the advent of the Internet, there are numerous sources of videos and video clips available online. For example, be sure to check out the MIT blackjack team videos. For an introduction to card counting check out Mike Aponte’s video titled How Card Counting Works. – Excellent. Highly recommended.This documentary presents the rise and fall of the MIT blackjack team. For two years in the early ’90s, the team reportedly earned millions from casinos around the world with their skills, until conflict within the group and a diligent security company brought the group’s winnings to a crashing halt. Included are interviews with team members and author Ben Mezrich, whose 2003 book Bringing Down the House focuses on a later M.I.T. team. Includes interesting dramatic recreations of the teams efforts and exploits. * Editor note: This video should not be confused with the Kevin Spacey movie ’21’ which is based on the Mezrich book and the same subject matter. – Excellent. Highly recommended. Shows the moves of a professional card cheat. Includes an anti-counter move, carrying a slug, false shuffle, stacking discards, stacked ribbon spread, stacking the deck, hole card switching, dealing seconds, peeking and hole card switch, turning the deck and gaffed shoes. Also includes the introduction of a cooler into a shoe dealt game, dealer dumping the chip rack contents to a confederate, gaffed bridge table, and dealing off the bottom of the deck. Both Wong and Snyder consider this is an excellent video on the dealing of seconds. – Excellent. Highly Recommended. This documentary appears to be a brutally honest account of Ben Crawford and Colin Jones‘ Church Team – the first blackjack team made up of predominately Christians. Explores the emotional roller coaster of winning and losing, testing and training players, carrying large sums of cash, the need for disguises, whether team mates are playing correctly, casino surveillance, and whether you can trust your team mates. Describes partly their team approach of players, managers and investors and the need to “close a bankroll“. Considerable hidden casino footage and interviews with team players, managers, investors and casino personnel. – Review TBD. From the advertising: “Our instructional DVD will show you how to play blackjack like a pro. 60 Minutes to Winning Blackjack starts with the basics and guides you through the science and art of card counting. Includes interactive practice chapters.” This is referenced on Norm Wattenberger’s site (QFIT.com) so it is probably good — but I have not seen it yet. – Excellent. Highly recommended. Professionally produced video covering the basics of blackjack and an introduction to card counting. Card count used is Wong’s hi-lo. Also includes a useful video flash method of teaching basic strategy and card count variations. Technical advisor for this video was Stanford Wong. – Not recommended. An instructional video that comes with the Davis and Patterson NBJ system. – Review TBD. This is the second DVD from Semyon Dukach’s Blackjack Science Seminar Series and is based on actual footage from his seminar. Contains information on advanced techniques: Cut Cards, Ace Sequencing and Shuffle Tracking — as they were used by Semyon’s Amphibian Investments MIT blackjack team. This is referenced on Norm Wattenberger’s site (QFIT.com) so it is probably good — but I have not seen it yet. – Review TBD. Semyon Dukach was the founder and president of Amphibian Investments MIT Blackjack team that won millions of dollars from the casinos in the nineties. He is known to casino personnel as Nikolay Nogov, a Russian arms dealer. Semyon has appeared on ABC, the BBC, CNN, the History Channel, and the National Geographic Channel, and has conducted numerous Blackjack Science Seminars. This web video is based on actual footage from one of those seminars. This is referenced on Norm Wattenberger’s site (QFIT.com) so it is probably good — but I have not seen it yet. – Not recommended. Includes an incorrect basic strategy, advice on money management, casino comps, tournament play, when to quit, etc. Includes a pocket size BS card. According to the advertising, Gorson won the $50,000 blackjack tournament at the Aladdin on October 18, 1989. – I have not seen this video but I have every indication that it is very good to excellent. Goes from basic strategy through card counting, true count, and proper bankroll requirements. The high-low count from Wong’s Professional Blackjack is used with some slight changes according to Friedman and Braun. Howard Grossman has played on both sides of the fence. After dealing blackjack for a while he decided to become a professional blackjack player after his off-hour card-counting activities got him fired from the Dunes casino (c1970’s). 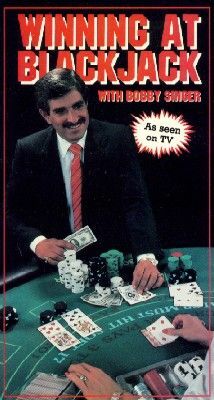 In 1983, he was known as a floorman for Vegas World and owned a company called International Casino Consultants, Inc. He offered educational training for casinos in the areas of slot cheating, blackjack cheating and card counting. – TBD. Indication is this video is excellent and may be deserving of a star rating. Grossman, Howard. Win at Blackjack With Howard Grossman. (circa early 1980’s) ??? Harewood, Dorian. Strictly Blackjack (Winning Without Counting). Lighthouse Video, ??? ; c2005. – Not recommended. Promotes a blackjack betting system. Irwin, Bruce. Blackjack – Winner’s Edge Series, Volume II. Casino Gaming Instruction, Market Visions, Williamsport, PA; 1982. – Not recommended. Produced by a so-called Canadian gaming expert and consultant. Contains an introduction to the game and an incorrect basic strategy. This video is an example of the very poor material on the market today. I can’t imagine anyone recommending doubling a soft 15 (A,4) or a soft 13 (A,2) versus a dealer’s Ace upcard. Yes, Irwin recommends it here. I couldn’t believe it the first time I saw it but I rewound the tape and there Irwin does it again. Check this video out at the Gaming Resource Center (U.N.L.V.) just for the fun of it. Janik, Joseph. See entry under Smith, Larry. How to Deal Casino Games: Blackjack. – Not recommended. 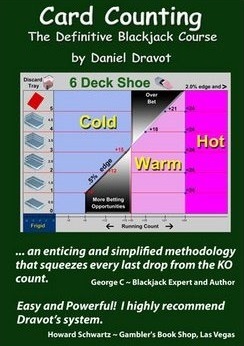 Contains inaccurate basic strategy advice for blackjack. Joseph, George. Cheating at Craps and 21. (circa early 1980’s) ??? – According to Stanford Wong this is an excellent video on the use of palmed cards by the player. – Excellent. 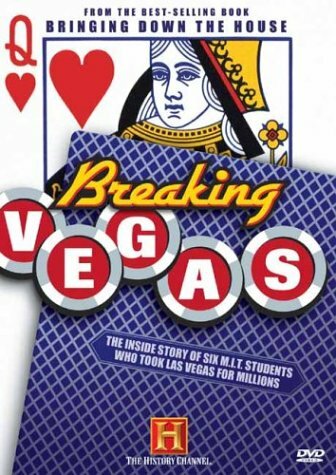 Highly recommended.Subtitled: “How much money did cheaters steal from your blackjack tables today?” Originally selling for $200, this video was originally intended for casino security personnel. Shot with four cameras in a studio and edited by professionals, this video reveals cheating moves like no other tape on the market today. Moves from the outside and inside are shown in detail, including footage from surveillance and floormen’s views, this tape gives the perspective of action happening in the pit. Many of the moves revealed have never before appeared on video–these are not the same moves and scams seen on other videos by so-called ‘experts.’ What Moves Are Exposed? * Stacking the Deck * The Lay Stack * Beating the Cut with a Cut Card * Dumping Off to a Brief * Switching Cards * Getting Cards Out of Play * Mucking * Returning Cards Into Play * Steer Game * Flashing * Oh Excuse Me * Pinching * Pressing * Rolling the Deck * The Turnover Switch * The Two-Card Drop * Hole Card Out of a Shoe * Drink Move and many more. Editor note: We do not endorse or recommend the use of this information as much of it is illegal and punishable by law. – Included as part of the author’s instruction on the TARGET method. Self published. – Not recommended. Contains inaccurate information. A ten count system is presented. – Not recommended. Includes segments from John Patrick’s videos and TV shows. – Not recommended. Sub-titled “Play Like the Pros! – Get the Edge on the House During Practically Every Shoe!“. – Excellent. Highly recommended. 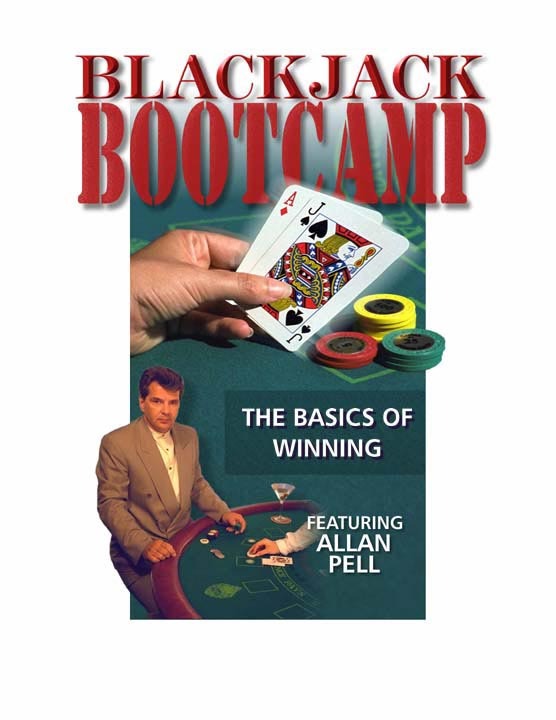 One of the best video instruction series that has been produced for the game of blackjack. The course includes 3 videotapes (VHS), plus a 90-page manual. The course is ideal for the beginning player but also addresses many of the advanced topics of the game. – Excellent. Highly recommended. BJ21.com presents a video of a panel discussion regarding casino abuse of skilled players which was recorded at a BJ21.com Green Chip party. The video includes frightening footage obtained from casino surveillance cameras of a law abiding, skilled player being handcuffed, forcibly backroomed and detained by casino employees. This timely topic should be of concern to all players. The panel was moderated by Stanford Wong, and featured prominent players that are part of the BJ21.com community including DD’, MathProf, and Harry B. Advantage player attorney Bob Nersesian and Las Vegas Advisor publisher Anthony Curtis were also on the panel. DD’, Math Prof, and Harry B speak of the harassment and mistreatment each has received at the hands of casino employees. Each of the three has filed a lawsuit against the casino that employed their assailants. – Not recommended. Contains inaccurate basic strategy advice. This professionally produced video covers the basics of the game and teaches players how to play the “Telly way.” The only thing of interest to players and historians is the fact that this video was filmed on location at the old Dunes casino in Las Vegas. – Good. Recommended. Arnold Snyder indicates that this is a good video that teaches basic strategy and elementary card counting using the hi-lo count. Singer, Bobby. Winning at Blackjack with Bobby Singer. JCI Video. (1987). (1 hour 43 Minutes). See Bobby Singer. – Not recommended. See review by Edmund Hack in rec.gambling.blackjack archive. – Very good. Highly recommended. Written by a former Vegas dealer and pit supervisor. Although the editing and video quality are poor this video gives a good education to dealing casino blackjack. Shuffling procedures, dealing, playing out the hand, paying and taking bets, cutting, handling chips, markers, fill slips, color changes, etc. These tapes contain the same material you would learn in a professional dealer’s school. In Blackjack Forum’s March 1991 review Snyder wrote, “It’s a lot easier to spot cheating, or mistakes, or even exploitable dealer weaknesses, if you’re thoroughly grounded in proper dealing skills and procedures.” This video comes in a full 3-tape course format with a small 18 page manual or single tape format covering Basic Skills and condensing the complete course material. Snyder, Arnold. 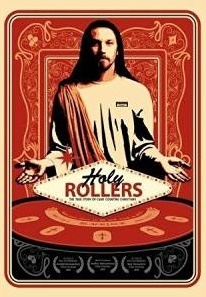 First Church of Blackjack Revival. RGE Publishing, Oakland, CA; 19??. – Good, recommended. Collier’s video is just as good and less expensive. – Good. Recommended. Uston explains the rules, playing procedures, basic strategy, and card counting (plus-minus system). Also available in audio format. __________. Blackjack: Learn To Play To Win. ?? ?, ??? ; c2000? __________. Professional Blackjack Winning Techniques. Instructional Video Cassette Corp., Philadelphia, PA; c1980? __________. Win at Blackjack. Strategic Play Productions, Cincinnati, OH; 1994. (30 min). – Features the basic strategy of the game, player options, analyzing the dealer’s hand, etc. 1. ↑ All embedded videos on this site are copyright © of the original owner. Please visit the original site of the video for more information. If you are the owner of a video that appears on this site and you “do not” want us to us it, contact us and we will remove it.